I have been an Anthony Bourdain fan for years. I followed him during his Travel Channel days, watching both The Layover and No Reservations hungrily. Almost fervently. I stayed with him through his Parts Unknown days — which, admittedly, ended too soon — and I've read several of his books, including The Nasty Bits and Kitchen Confidential. (As a writer, I admired his honesty, dry wit and seemingly God-given ability to tell a story.) So when news broke on June 8 that Bourdain had died, I was devastated. "What a terrible loss," I thought. But then the details surrounding his death emerged, and I was taken back once more because Bourdain died as I could have: by suicide. You see, I am one in a million. Of course, the circumstances surrounding my own life — and struggles — were certainly different from Bourdain's. The first time I tried to take my life, I was suffering from an undiagnosed (and untreated) mental illness, and the second time, I acted impulsively. I was in a manic phase from which no one could pull me back. But the differences between Bourdain and me end there because, while I do not know Bourdain, I do know what it feels like to be suicidal, and we are (well, were) both individuals who felt helpless, who felt hopeless and who believed there was no other way out. I didn't want to die; I just wanted to make the pain stop. And while I "survived," I didn't do so because someone stopped me or because someone saved me, I survived because of fate. Because of luck, and because I woke up — vomiting but alive. On Aug. 1, CNN confirmed that Bourdain's story isn't over. Parts Unknown will return for a 12th — and final — season. And while an official premiere date has yet to be announced, the season will follow Bourdain through Kenya, Manhattan's Lower East Side, an area of Texas close to the U.S.-Mexico border, the Asturias region of Spain and Indonesia before ending back where it began: with Bourdain. The Parts Unknown cast and crew will spend the last two episodes of the series reflecting on the show and larger-than-life chef. 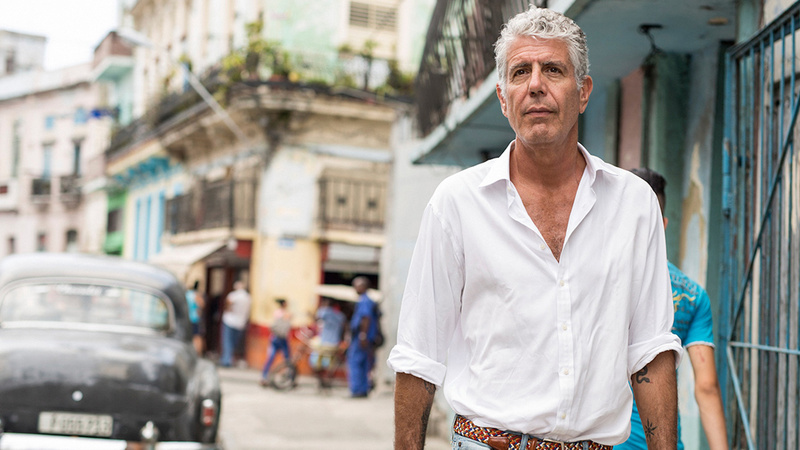 "Each [episode] will feel slightly different depending on what’s gathered in the field," Amy Entelis, the CNN executive who helped launch Parts Unknown, told the Los Angeles Times. "They will have the full presence of Tony because you’ll see him, you’ll hear him, you’ll watch him" but, with the exception of one episode, Kenya, "his narration will be missing… it will be replaced by other voices of people who are in the episodes." You may be wondering why this matters. It is a television program after all. Nothing more. Nothing less. But keeping Bourdain alive — even if it is only on his Emmy award-winning show — is imperative because he is (and should be) a man defined by his life, not his death. Bourdain was a chef, author, storyteller, world traveler, producer, husband, father and friend. Will the show be hard to watch? Yes. Painful even? Yes, probably. But silencing Bourdain and his life would be a disservice: to him, to me and to everyone who has ever struggled with addiction, alcoholism, suicide, and/or mental illness. Because we are more. By airing season 12 of Parts Unknown we — as a society — will be forced to "see" suicide. We will be forced to think about suicide, and we will be forced to talk about suicide, to have a very raw and real conversation about an epidemic which, according to the American Foundation of Suicide Prevention, kills nearly 45,000 Americans each year. For more information on the warning signs and prevention of suicide, click here. If you or someone you know is in emotional distress or considering suicide, call the National Suicide Prevention Lifeline at 1-800-273-TALK (8255). If you live outside the U.S., click here for a list of international hotlines.